Camera Plus Pro is yet another camera app for iPhone that has been recently released by Global Delight. 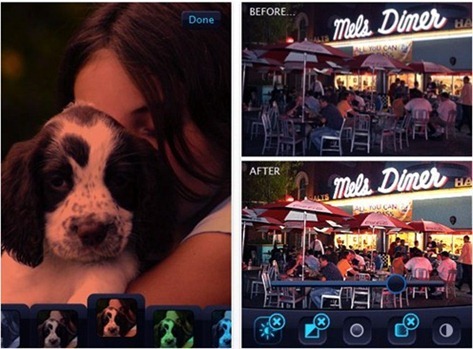 Global Delight are the developers and publishers behind the famous free app called Camera Plus. With a host of capturing, annotating, editing, managing and sharing options, Camera Plus Pro certainly is one of the most advanced camera app available for iPhone. Features such as Point Zoom, Timed Capture, Sharing on Social Networks, Burst Mode, Filters, Anti-Shake, Flash, Crop and more, empowers iPhone users of Camera Plus Pro with wide range of flexibility for capturing and editing pictures. Complete list of Camera Plus Pro features are listed as follows. Filters – B/W, Sepia, Invert, Antique, Burn, Nature and Ocean. More to come soon. Sync – Sync your pictures from the Quick Roll to the Photo Library. Check out some of these features in action in the video embedded below. Camera Plus Pro 1.0 is available in the iTunes App Store for $1.99. Let this be your Christmas Day special gift.